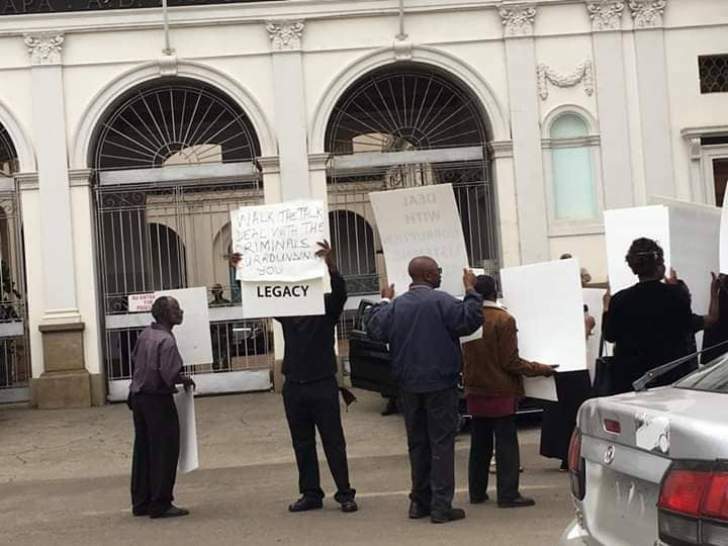 Members of the Zimbabwe Liberation War Veterans Association faction aligned to Ambassador Chris Mutsvangwa on Monday staged a demonstration at the Munhumutapa offices calling for President Mnangagwa to walk the talk. 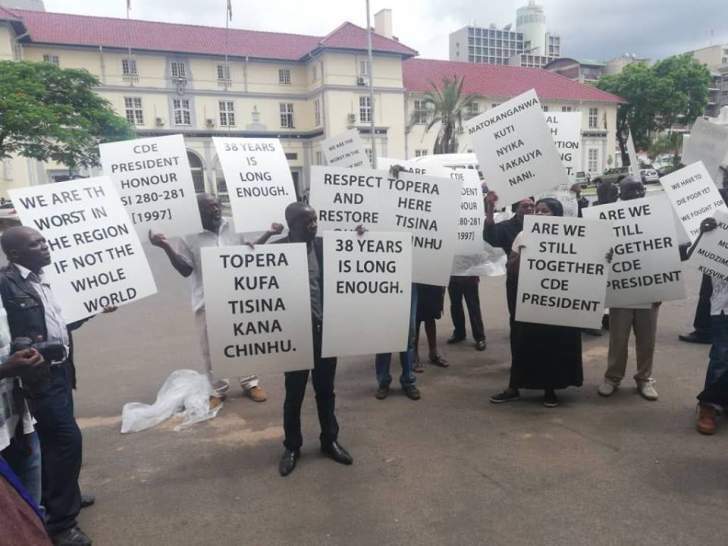 The war vets carried banners questioning whether the President was still on the same side with them. 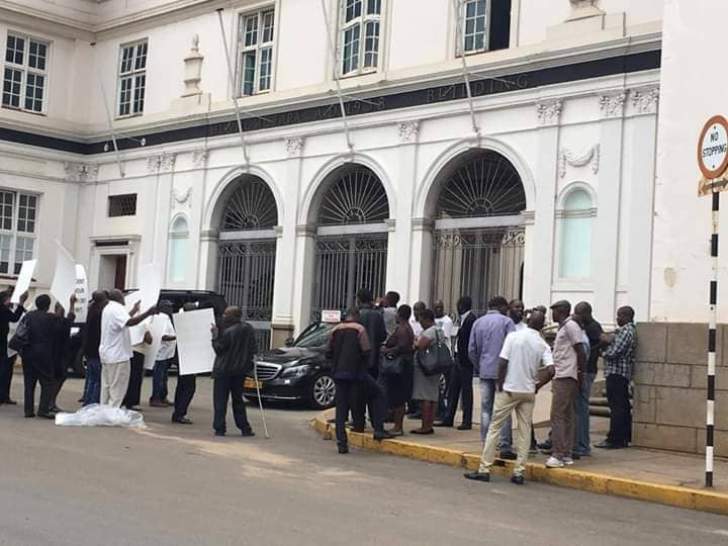 The War vetarans also called for the ouster of the Secretary General Victor Matemadanda saying he was imposed to lead them and he is not a real War Veteran.